This 30-minute film showcases a number of historic homes in the City of Elmira and touches upon what was, what is, and what may be. 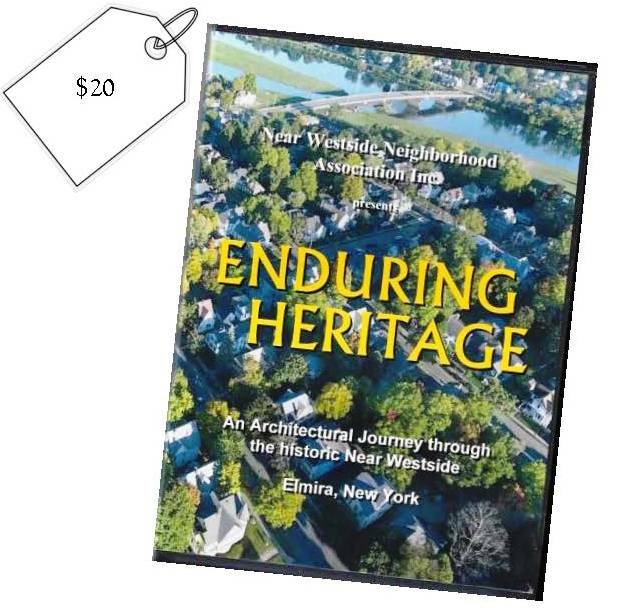 It would make a great gift for anyone interested in the historic architecture of Elmira! Pick up your copy at Near Westside's office, 353 Davis Street, Monday -Thursday from 8-Noon or 1-4 or place your order via the donate link on our homepage and be certain to include your name and address. The DVD costs only $20 each for pick-up or $23 each for shipping. Save some money when you purchase a Holiday Home Tour ticket with a DVD and pay only $35 for general admission or $30 for Members/Seniors (55+). To view a trailer of the DVD, visit us on facebook. Videography and Editing by Ramsdell Productions.